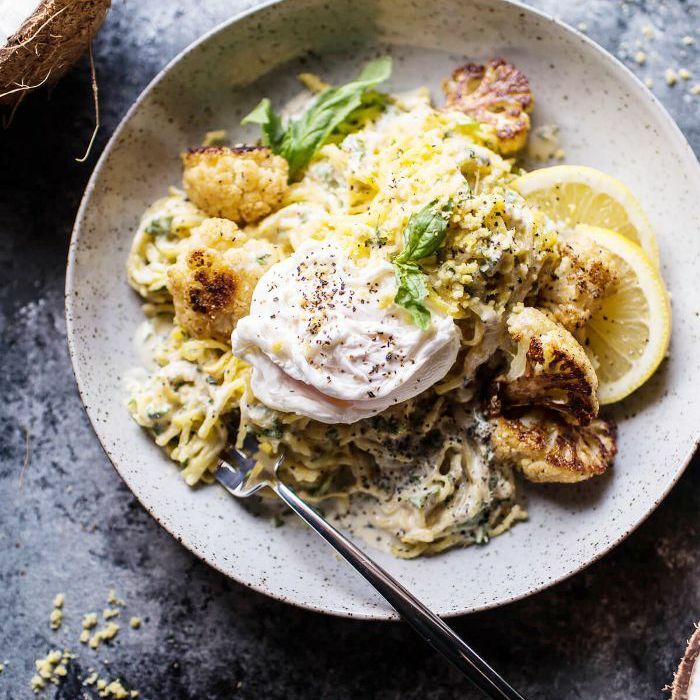 Switching to a low-carbohydrate diet doesn't necessarily require sacrificing flavorful Italian meals for bland alternatives. We already know that there are a ton of mouthwatering recipes that use zucchini, squash, and other delicious veggies in place of the traditional flour-made staple. If, however, you don't have the time to chop and spiralize your main ingredients, fear not: There's a low-carb pasta substitute for every type of dish. It's worth noting that many low-carb diets vary in their intake requirements. For instance, the Atkins diet recommends eating less than 100 grams of carbs a day, while the Mayo Clinic points out that any diet is considered low in carbs if it falls under the Dietary Guidelines for Americans' recommendation to consume 900 to 1300 calories of carbohydrates per day (or 45% to 65% of your total calories, based on a 2000 calorie diet). In addition, not all carbs come in the form of white bread, fluffy pizza crusts, and other wheat products. Harvard explains that beans and fruit are also sources of good carbohydrates, so keep that in mind before you decide to completely carve out carbs from your diet. With that in mind, we've rounded up some of the best pasta swaps that don't taste like cardboard—in fact, some even taste just as delicious (or better) than the real thing. 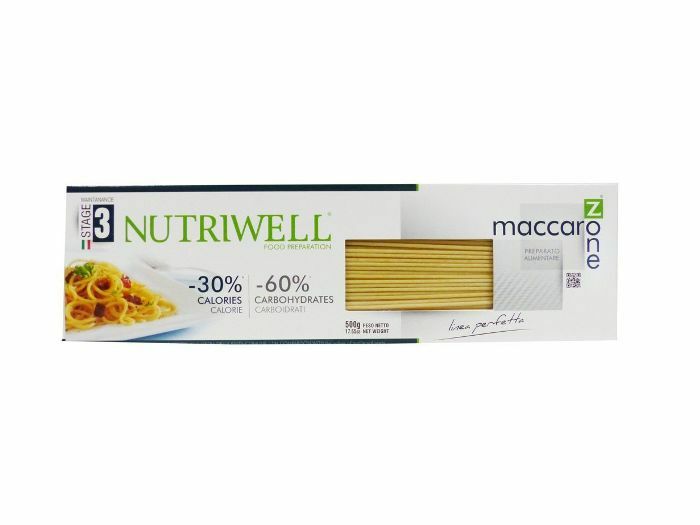 Below see seven low-carb pasta substitute brands worth trying. 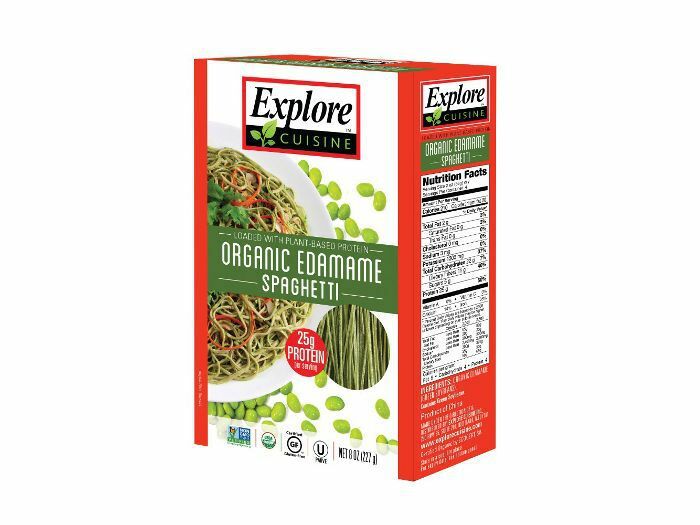 Explore Cuisine is all about maintaining that filling, wholesome deliciousness that makes us crave pasta while also packing in plant-based protein and fiber. It's organic, non-GMO, gluten-free, and vegan. These are called "Miracle Noodles" for a reason. They literally have zero calories in them. 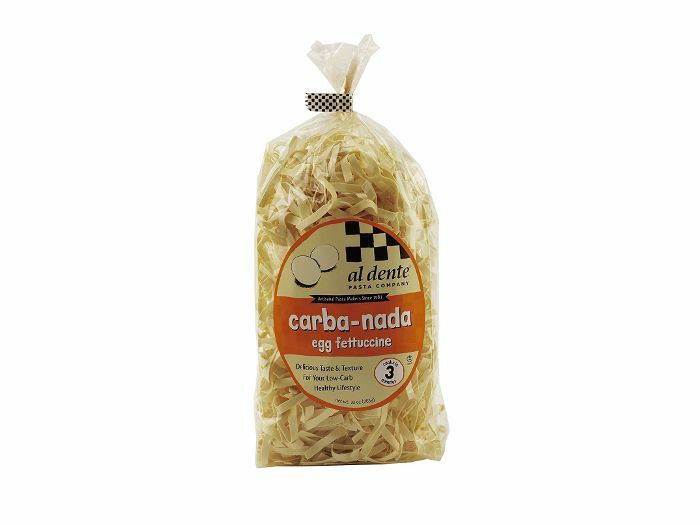 No, we did not just include these noodles because of their epic name, "Carba-Nada." 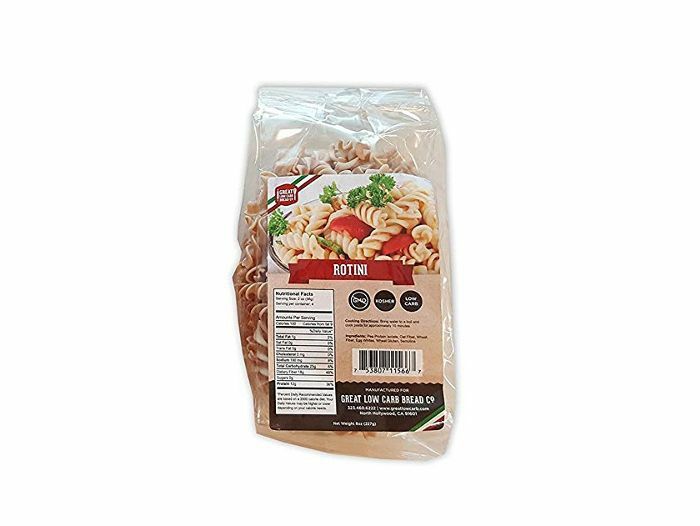 Puns aside, these fettuccine-like noodles are fiber-rich, which means you'll be keeping your digestive system flowing. If you love spiral pasta and want to cut back on the carb-heavy classic, opt for this low-carb option instead. It's only 100 calories per two ounces. Thanks to this low-carb pasta alternative, you can have your spaghetti and eat it too. 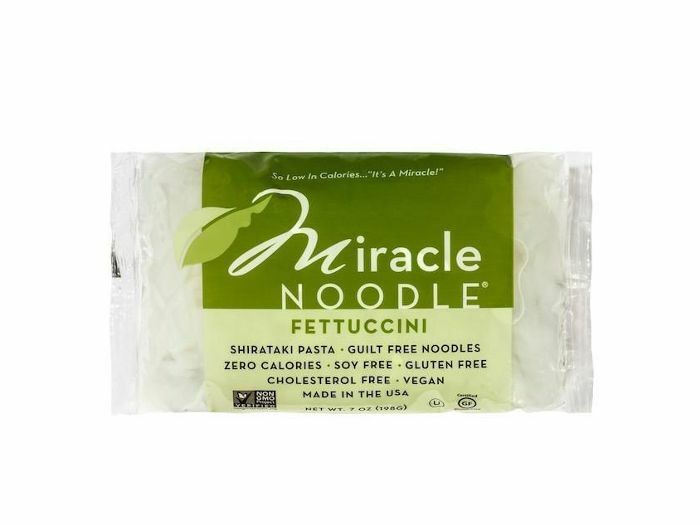 It's made with 50% fewer carbs than the average noodle. 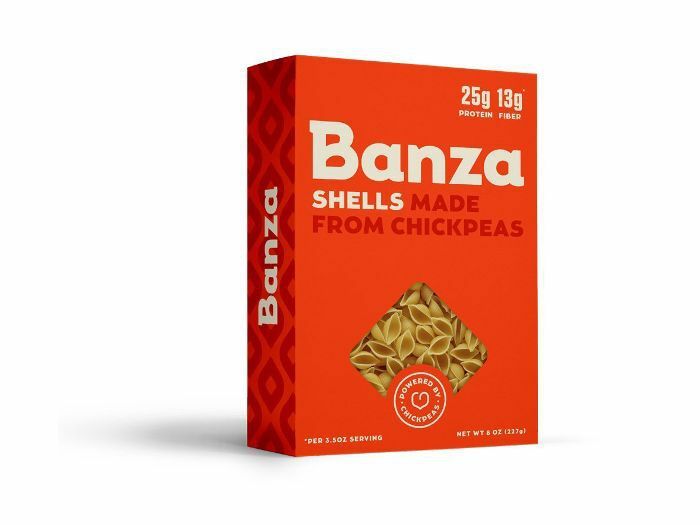 These pasta shells are made of chickpeas instead of wheat, so they contain 25 grams of protein, 13 grams of fiber, and about 50% fewer carbohydrates than the traditional variety in each serving. Lasagna lovers, this one goes out to you. 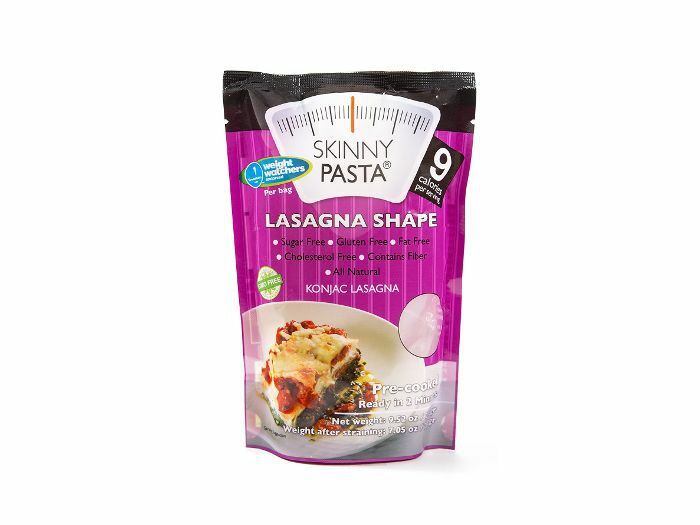 The pasta sheets are made from a vegetable base and contain only nine calories per serving. The brand also makes spaghetti, fettuccine, couscous, and rice options. Subscribe to our newsletter for more healthy eating tips, recipe inspiration, and dinner ideas. This post was originally published on September 22, 2017, and has since been updated.